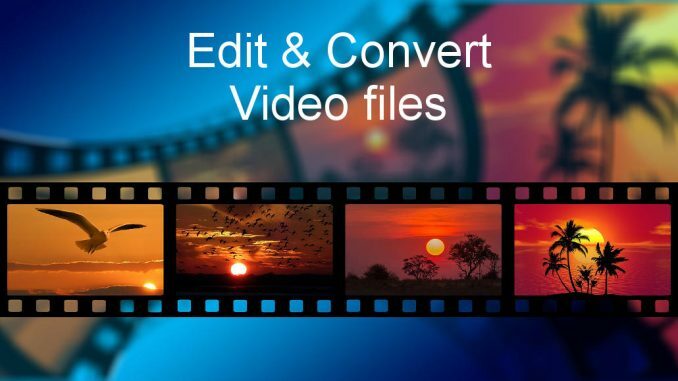 macXvideo is a free app for the Apple Mac (the Windows version is called WinX) that enables you to easily convert videos from a variety of different input formats to a useful collection of output formats. 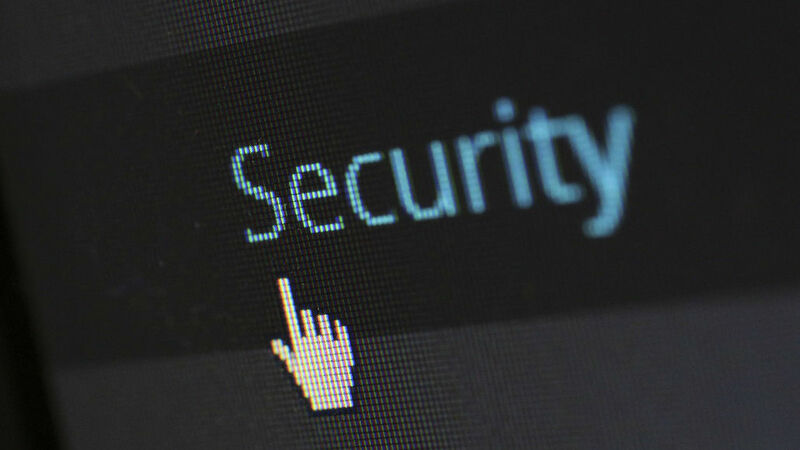 You can target particular devices and formats to suit your needs. I tried the Mac version of the app. It contains basic video editing functions and it could be useful for people that don’t need a big and complicated application like Adobe Premiere or even iMovie just to trim a clip or apply a few simple effects for sharing on YouTube or social media. 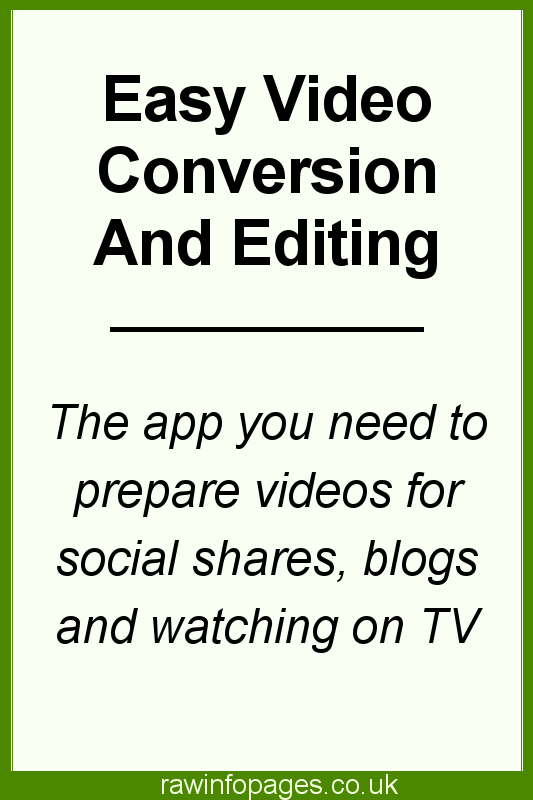 It could be useful for YouTube video bloggers or for editing clips to include on your own blog or website. It can be used to combine short clips into one longer one, correct problems and add effects. When the app opens, it invites you to drag and drop files on the window and it adds them all to a list. It shows the video details like the encoding, size, audio and so on. Any number of videos can be added. Below each video is a toolbar with Cut, Crop, Subtitle, Effect and Rotate. Click any of these and the video editor is opened. Cut enables the start and end of the video to be set so you can cut out bits you don’t need. The crop tool has some presets like 16:9 and 4:3 and 1:1 sizes but you can define your own and trim parts of the clip you don’t want to show. Subtitle is used to load an SRT file, which is a file that contains text captions and when to display them. They must be created elsewhere, but they can be loaded here and added to a video. Videos can be rotated left or right and flipped horizontally or vertically. The playback speed can be adjusted and the range is 0.5 to 2.0, so you can slow down action scenes for example, or speed up a long clip to get through it twice as fast. The audio volume can be adjusted from 25% to 400% or it can be disabled completely. There are 16 different effects on the Effects tab and they are similar to the sort of filters that are in photo apps and Instagram. For example, you can turn a video black and white, make it technicolour, vintage, vignette and so on. The filters are fun, but the video controls on the right are probably more useful and you can adjust the brightness, contrast, saturation, hue and gamma of the video. These are useful for correcting problems with video clips or for applying special effects. The target device to convert videos to is selected from a list at the bottom of the window. However, each video has a codec options screen and this enables the settings to be customised. 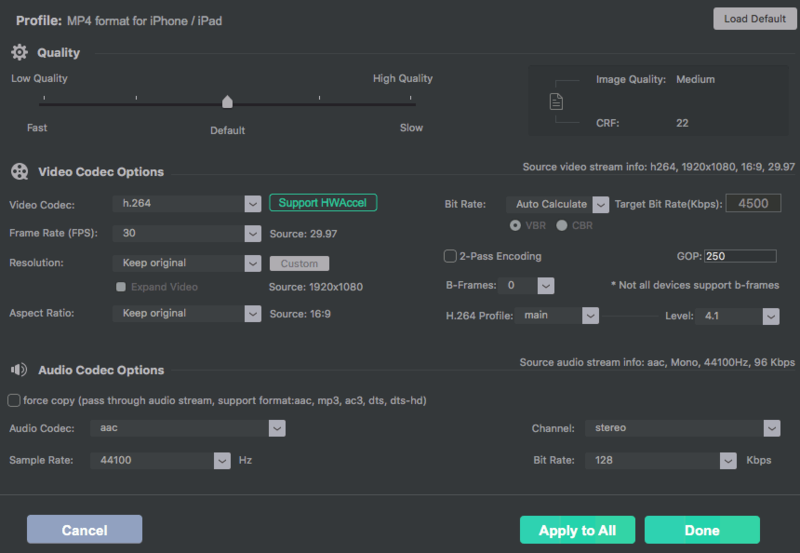 The frame rate, resolution, aspect ratio, audio, and many more settings can be changed. Each video can be customised separately but there is an option to apply them to all videos and this is useful for batch processing multiple clips. 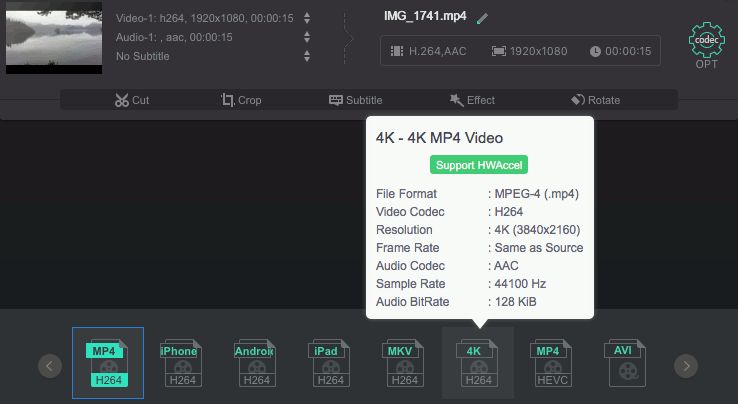 Each clip is saved separately when the conversion process is run, but there is an option to merge them all into one. You could therefore create a video by combining multiple clips, add effects to each one, drag and drop to rearrange the order in the app, and then output the finished video. 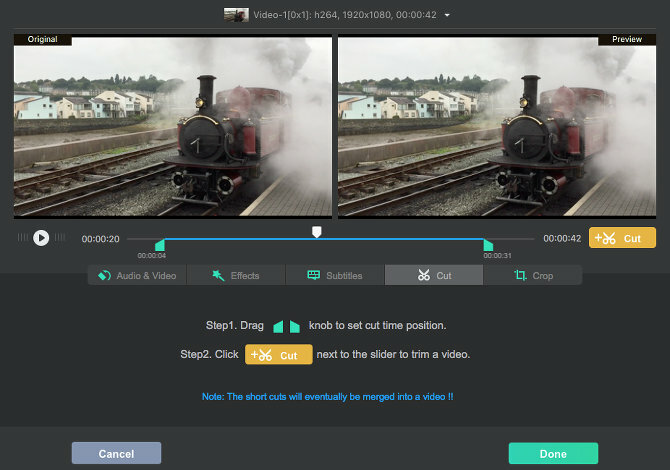 This is not a professional video editing tool, but it is great for people that want something quick and easy to use for editing videos for sharing on social media or their website. There is a lot more in the app than I expected for a free tool and I am impressed by the range of features. It even does 4K video. I tested the Mac version but there is a PC version too.